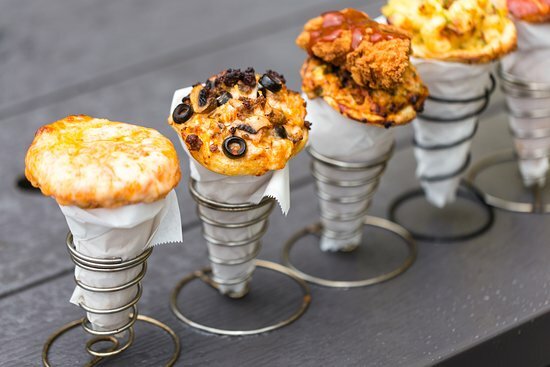 Pizza on Point’s innovative pizza cones are a great way to eat pizza on the go, whether rushing to class or indulging in a speedy Sunday brunch. Pizza on Point is a new food trailer in Austin that offers an exceptional way to deliver delicious pizza on a cone. Opened in April, it’s quickly become a regular stop for University of Texas at Austin students. “Pizza on Point is the best new thing to bring to the table,” owners Nathan Gardner and Lauren Gates say. From California, the two have been long-time friends who have had the dream of creating a culinary concept that leaves customers speechless. The portable pizza wrapped in a cone is something so unique that it’s hard to ignore. 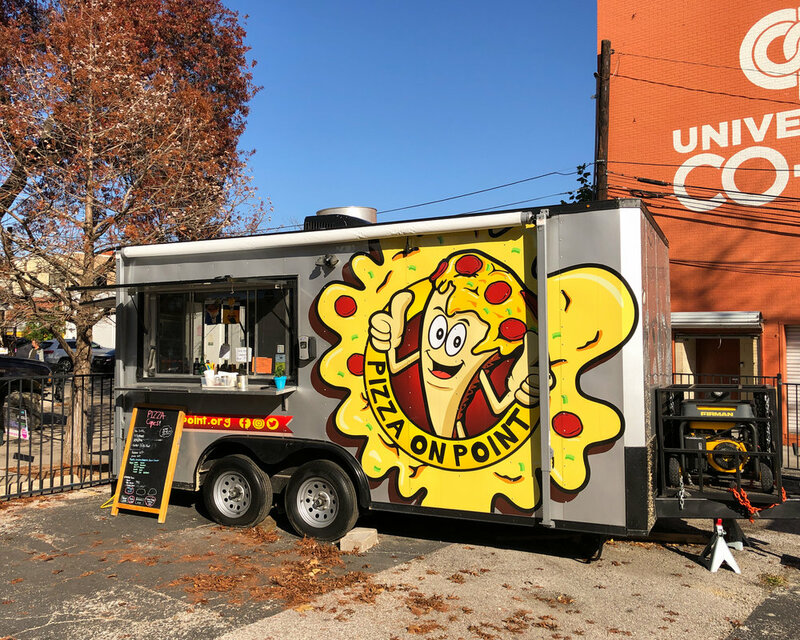 Gardner and Gates were inspired to start Pizza on Point after experiencing Austin’s food truck culture. The two entrepreneurs have worked in the food truck industry for a few years, and have already expanded their knowledge, experience and skills of all essential needs for the job. All pizza cones are made to order. This method allows customers to get creative with their food, since they can choose from a variety of ingredients that promise a savory experience. In addition to tasty menu options like the Fried BBQ Chicken, the mac & cheese Mac Daddy, or the all-meat Frat Boy cone, customers can choose from numerous toppings like artichoke, chicken, bell peppers, cilantro and more. In the kitchen, cooks measure the dough and place it in the cone maker, conveniently placed for customers to see. The chosen ingredients are then mixed together and baked in a one-of-a-kind cone oven. There are also weekly specials and desserts like the Cheesecake Shake, a vanilla shake blended with an entire slice of cheesecake, topped with whipped cream and cookies. The trailer is conveniently located near campus at 411 W. 23rd St.